SEASON OF LIGHT Opens December 6! 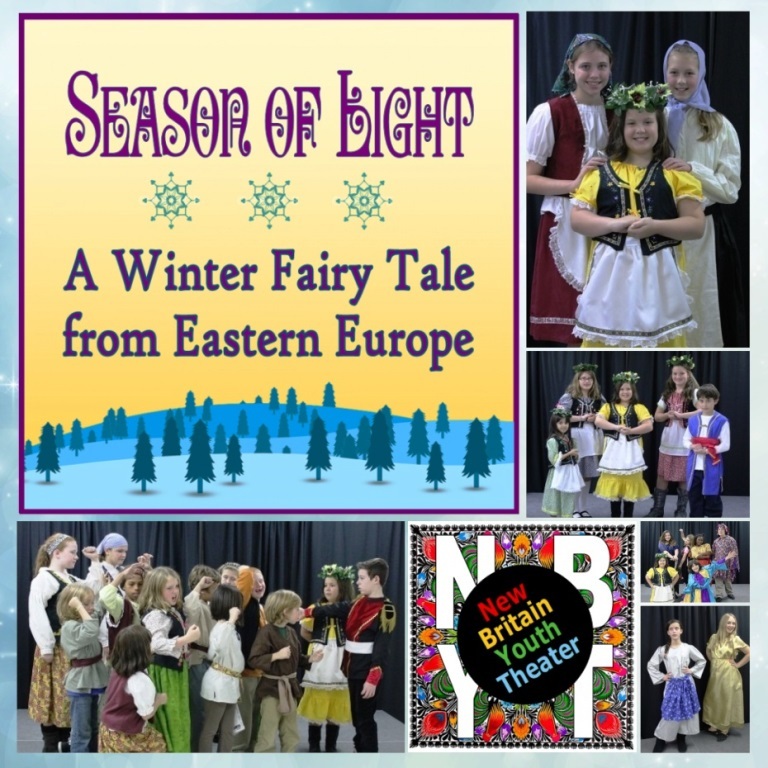 NBYT will perform Season of Light: A Winter Fairy Tale, on December 6, 7 and 8, 2013, at Trinity-on-Main Performance Center. Season of Light, by Steph DeFerie, is a fun and uplifting holiday play about doing good and bringing light into the world. It tells the story of a young peasant girl who plays the Sister of the Sun in her village’s winter celebration, and is blamed when the days continue to get shorter. In the forest, she meets a traveling group of performers who join in her quest to find the real Sister of the Sun and bring light back to her village. The cast of twenty-seven children includes village peasants, traveling performers, a noble lord, a mysterious beggar woman, the moon, and animals of the forest. The production will be directed by NBYT Executive Artistic Director David Sousa. Season of Light: A Winter Fairy Tale, will be performed at Trinity-on-Main Performance Center, located at 69 Main Street in downtown New Britain. Performances are Friday, December 6, at 7:00 p.m.; Saturday, December 7, at 7:00 p.m.; and Sunday, December 8 at 2 p.m. Ticket prices are $13 for adults and $11 for children, students, and seniors. Tickets may be reserved by calling New Britain Youth Theater at 860-515-8115 or may be purchased online at Brown Paper Tickets. Previous Previous post: ANY DREAM WILL DO Opens Today! Next Next post: Have an audition coming soon? NBYT SEASON OF LIGHT Opens December 6!